The CURE TC-CL II LED Curing Light | Spring Health Products, Inc.
Spring Health Products CURE TC-CL II Curing Light This all-metal curing light is lightweight and enables full-mouth access. 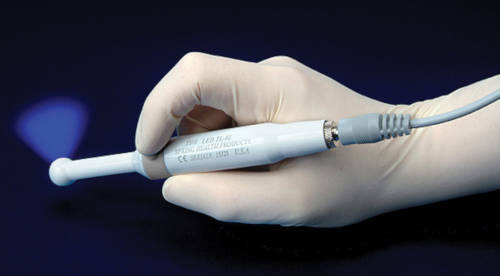 Spring Health Products' CURE TC-CL II is a cordless, lightweight all-metal curing light with an intensity of 1200 mW/cm. It polymerizes dental materials in the 440 nm to 465 nm range for a 6-second cure.